AQUA PATCH is the perfect material for asphalt and concrete repair. 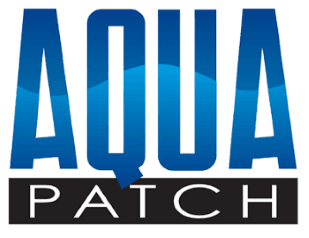 AQUA PATCH is permanent with a 3-year cure guarantee. AQUA PATCH is all-weather and can be applied in adverse weather conditions and in standing water. "AQUA PATCH is a big time saver for our crew because it eliminates the needfor costly trips back to the asphalt plant. I've had excellent results withAQUA PATCH in wet (rainy) or dry conditions. Our crew members are happywith the great workability of AQUA PATCH because they can simply add waterand tamp the asphalt down to get it traffic-ready in less than one hour." "Great Product, easy as 1, 2, 3 like the bag says. We have tested it in Michigan winter conditions , so far so good"